Hypena scabra - Hodges#8465 (Green Cloverworm Moth). Size: approx. 20-25 mm. Photo: 09/04/11, 10 pm. 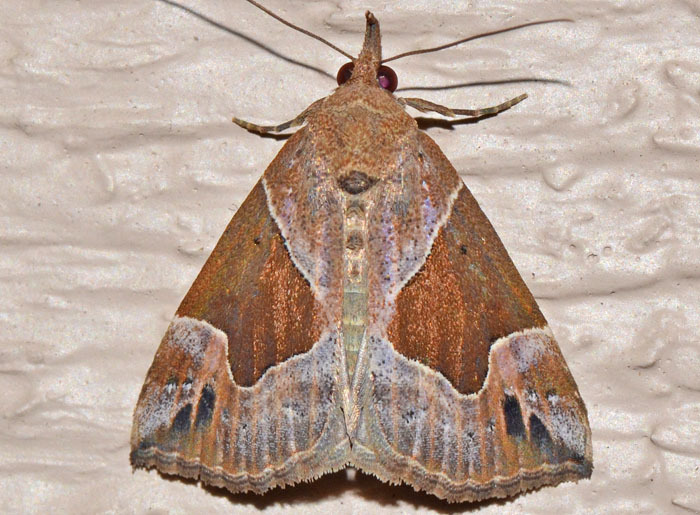 This moth is widespread in the Eastern half of the country. It is a Green Cloverworm Moth (Hypena scabra). Larvae are foilage feeder; 25 to 30 mm long and pale green with two white stripes on each side. Four or more generations per year. Hypena manalis - Hodges#8441 (Flowing-line Bomolocha). The hindwing of the Flowing-line Bomolocha are uniformly brown whereas the midwing area is whitish and again different from the basal and distal, brown areas of forewing medium. The wing span is about one inch. Its larvae feed on False Nettle (Boehmeria cylindrica). Hypena palparia - Hodges#8444 (Mottled Bomolocha). Size: approx. 30 mm. Photo: 05/14/15, 10 pm. 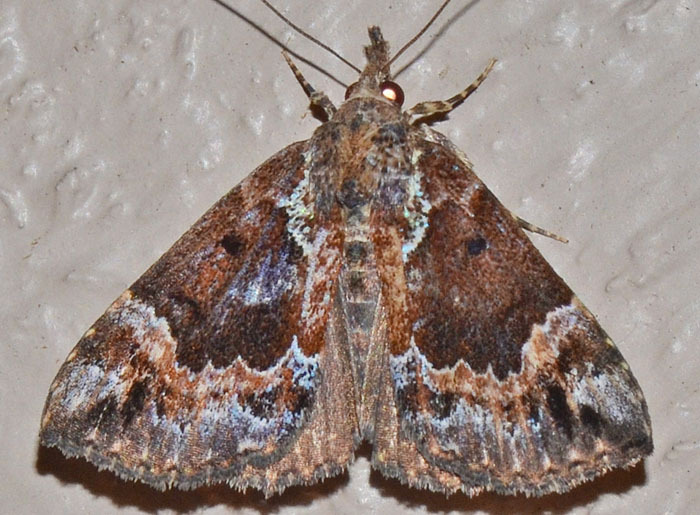 These moths are found in mature mixed and deciduous woods. The hindwing patterns are highly variable. 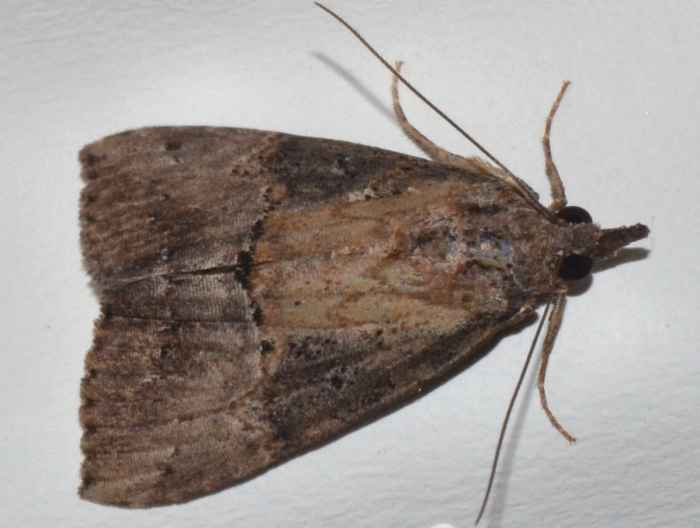 Another common name is "Variegated Snout-moth".